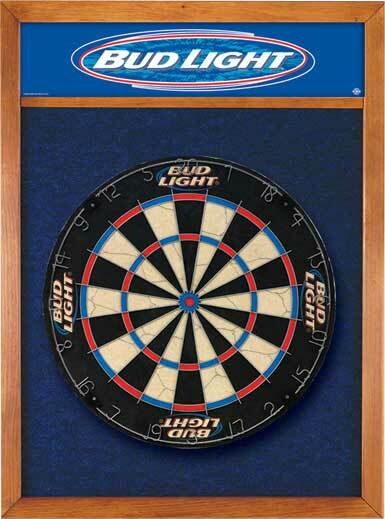 The Bud Light™ backboard is the newest addition to the Dart World backboard product line. This backboard is made of selected pine with a durable, Blue carpeted backing. The top window is silk-screened with the famous Bud Light™ Logo.